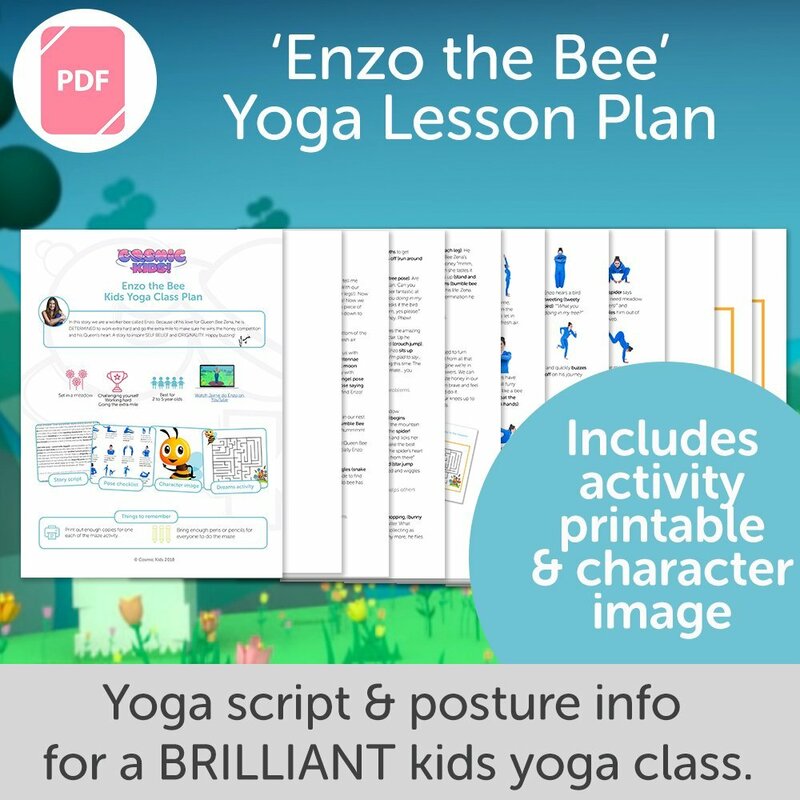 Home / Shop / Kids Yoga Classplans / Parsnip the Cat Kids Yoga Class Plan – NEW STYLE! 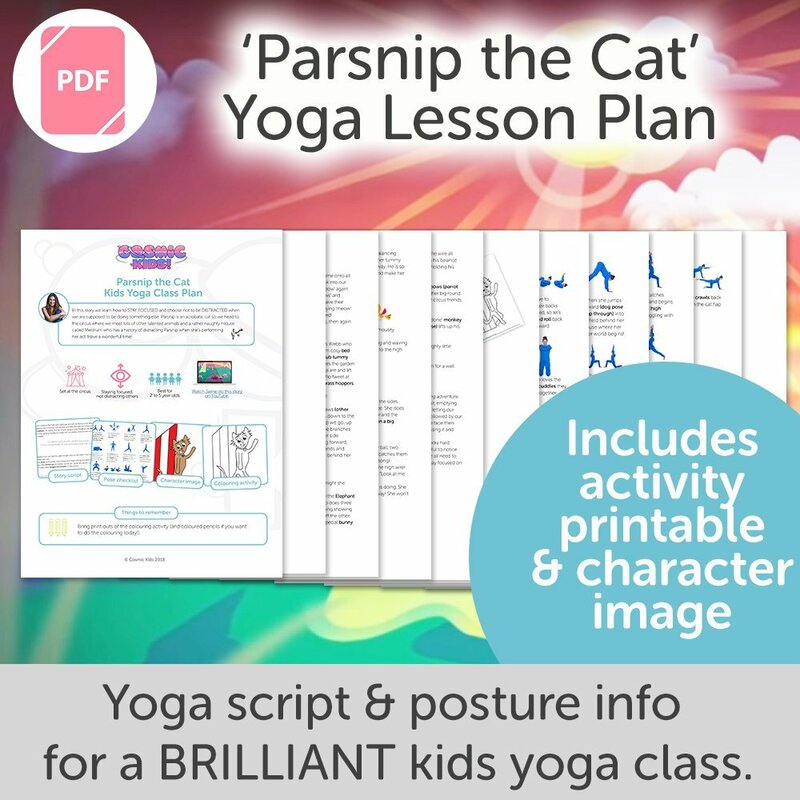 Teach the Cosmic Kids Yoga story Parsnip the Cat with this step-by-step kids yoga class plan. This plan is an 11 page PDF download packed full of new features to make your teaching of this lesson a big success! 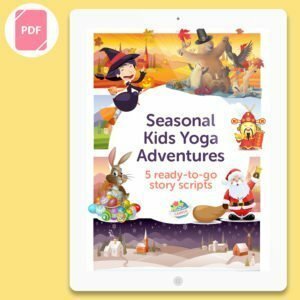 An 11 page PDF downloadable kids yoga class plan for the fun Cosmic Kids Yoga story – Parsnip the Cat!